In my exploration of classic cocktails, I came across an image of an Aviation cocktail. This cocktail had the most amazing blue colour. 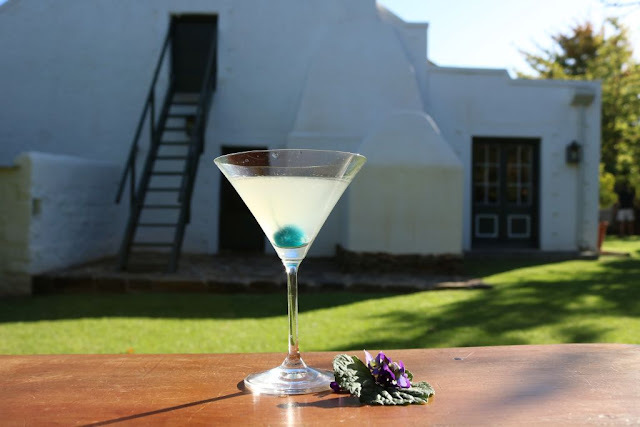 Hugo’s recipe called for 45ml El Bart gin, 22ml lemon juice, 2 dashes maraschino liqueur, and 2 dashes crème de violette. The crème de violette gives the cocktail a pale blue colour. I further discovered that El Bart gin is no longer distilled. It was however in its day, referred to as a dry gin. I decided that a good London dry gin would be an acceptable substitute. The Marachino liqueur ingredient required for this cocktail, we received as a gift from our friends Susan and Michael. The Towerwater garden could supply the best organic lemons for the juice. That brought me to the Crème de Violette. 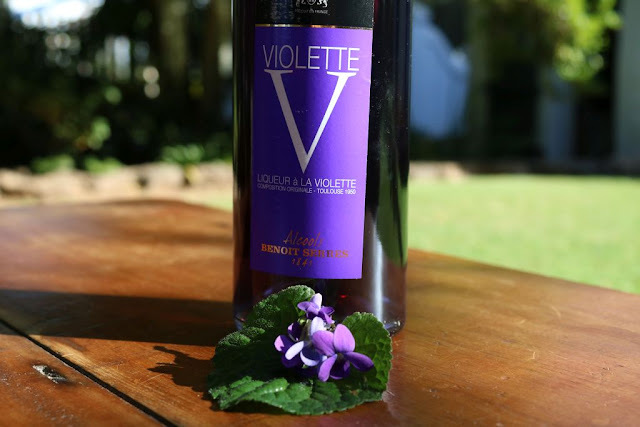 Crème de Violette is a French liqueur made with the flowers of the violet plant. I discovered that it was at one stage unobtainable outside France. 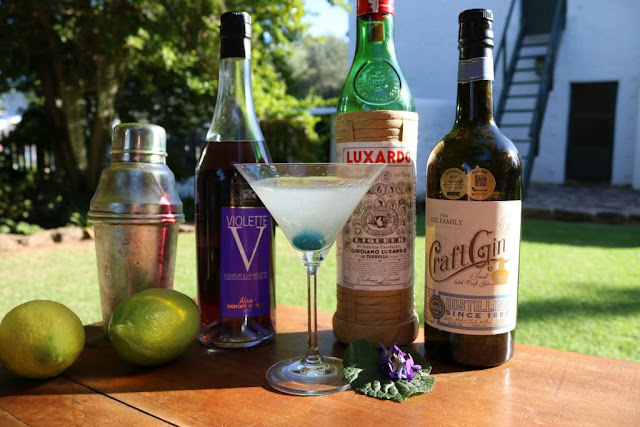 In further research, I discovered that the most highly regarded brand of this liqueur is that of Benoit Serres Liqueur a la Violette.Well clearly, that was the liqueur that I had to find to make the classic Aviation cocktail. Nothing less would do. The liqueur is made in Villefrance-de-Lauragais, southeast of Toulouse in the south of France. It is made with Armagnac brandy. I asked our friend Philip from Paris, to bring us a bottle of the liqueur when he came to visit over Easter. I assumed that finding a highly-regarded French liqueur in Paris would be quite easy. Apparently not. After searching for two weekends and going to more than 11 liquor stores, he had to order it. I felt guilty that my request had turned into a major expedition for our friends. Being the dear friends that they are, that did not stop them finding us a bottle of this rare liqueur. This, even after being informed at one liquor store, “Monsieur it is very rare. I have not seen it in many years”. Well, perhaps their search will cause all these liquor stores in Paris to consider re-stocking this rare liqueur. 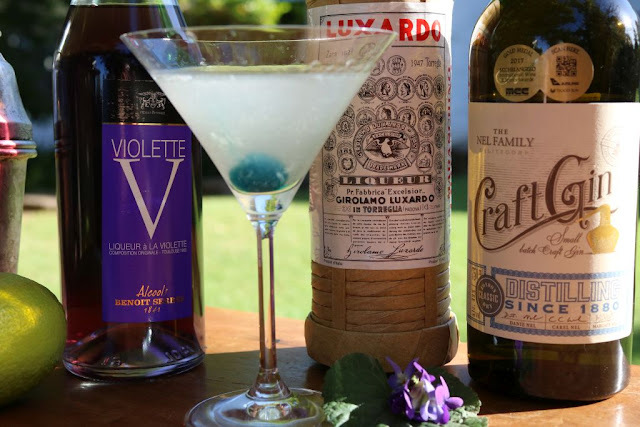 Perhaps it would even revive the Violet liqueur industry. 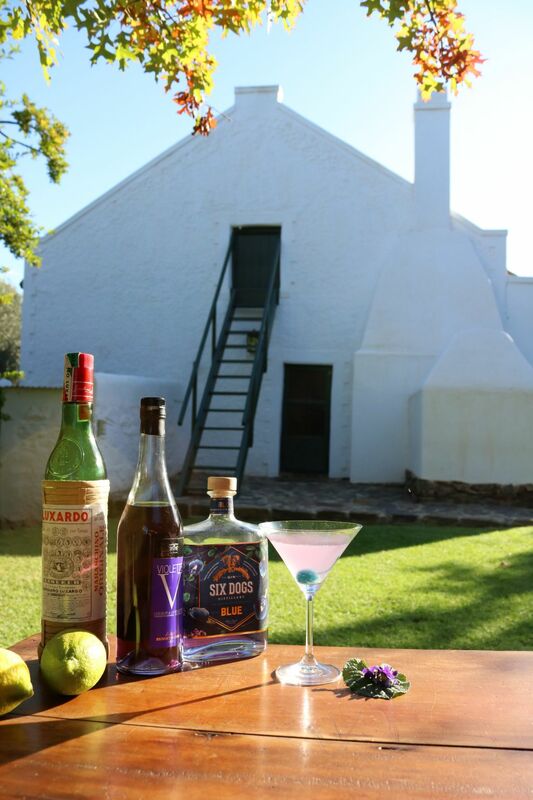 Would that not be interesting, if an innocent request from a village in South Africa, led to the rejuvenation of the Violet liqueur industry in France, I thought! 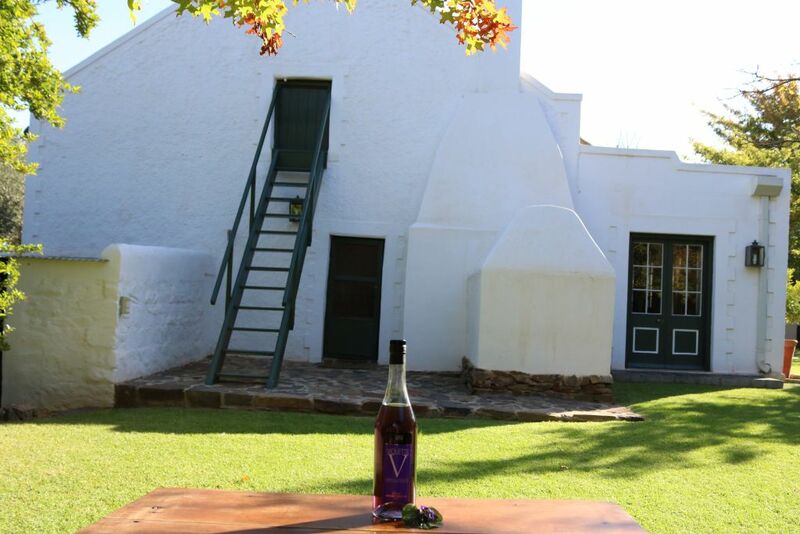 Receiving a bottle of Benoit Serres Liqueur a la Violette was akin to celebrating Christmas over Easter. With great excitement, I prepared and served true vintage Aviation cocktails at lunch on Easter Sunday. Although nice, I found it a bit too sour and the colour was a rather pale purple instead of the bright blue I had expected. The flavour of the liqueur reminded me of the sweet candy violets I ate while on an extended visit to Spain years ago. Shake well and strain into cocktail glass. 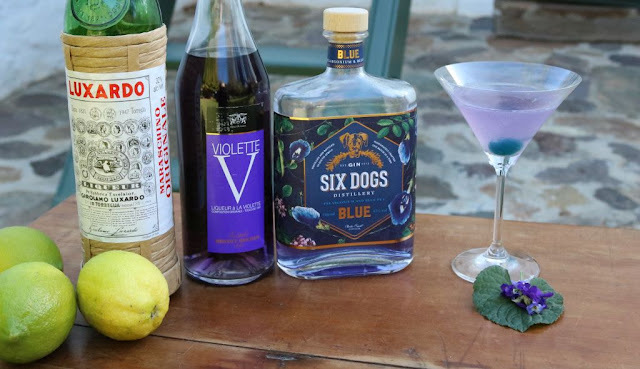 I suppose omitting the violet liqueur altogether would give one something close to a gin sour cocktail. And garnished with a blue maraschino cherry for good measure. 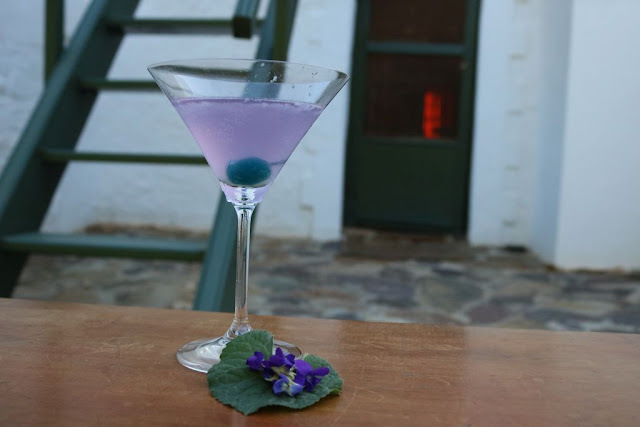 The cocktail had a soft purple tinge, reminding me of some of the violets in the Towerwater garden. 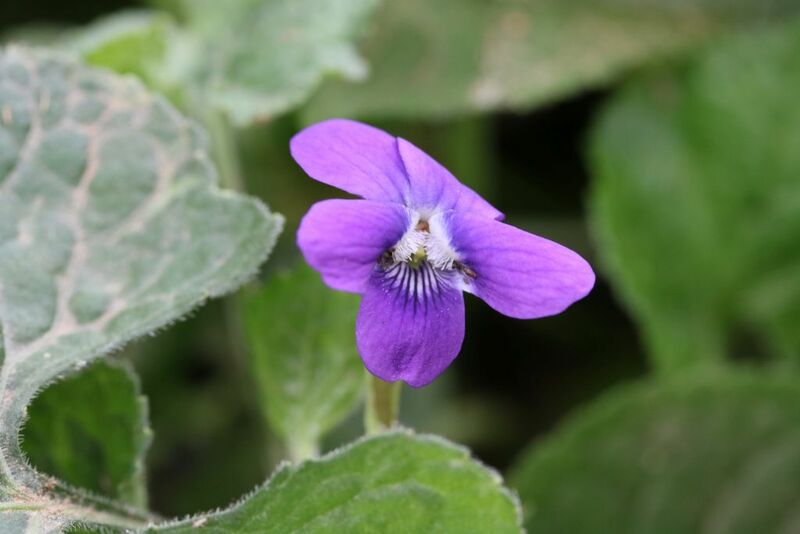 The hint of rose-scented geranium in the Six Dogs Blue gin mingling with the violets in the liqueur, was like drinking-in part of the Towerwater herb garden. Where the rose-scented geranium grows in harmony with a patch of violets, alongside the quince hedge. I still don’t know how the blue colour of the Aviation cocktail that inspired me on this quest was achieved. From my experience with the authentic ingredients, it could only be achieved with artificial colourants. 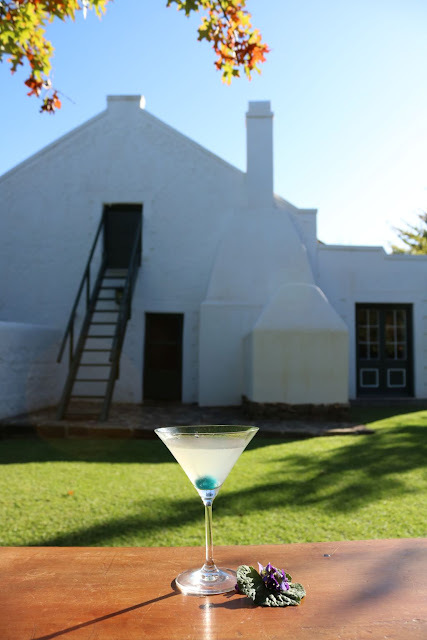 On an autumn day, we could sit back under the oak sipping Aviation cocktails while scanning the clear blue Karoo sky. Very interesting. 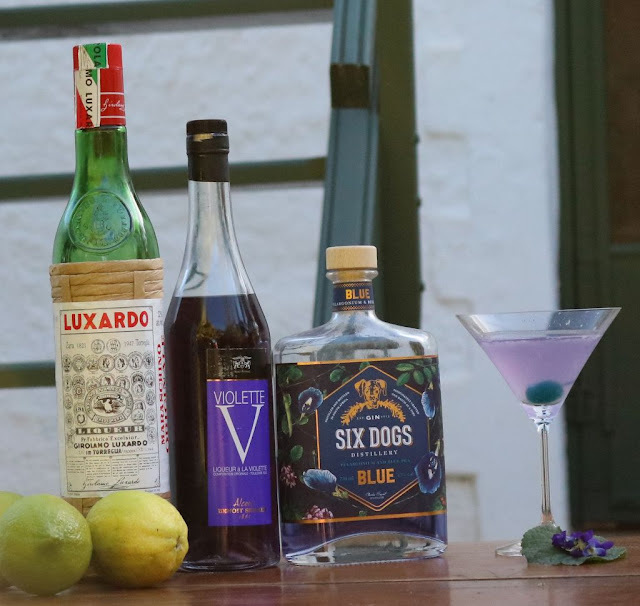 The mix using the Six Dogs Blue Gin gets my vote! I am sure Hugo would agree.